Owen House Wedding Barn Lighting. 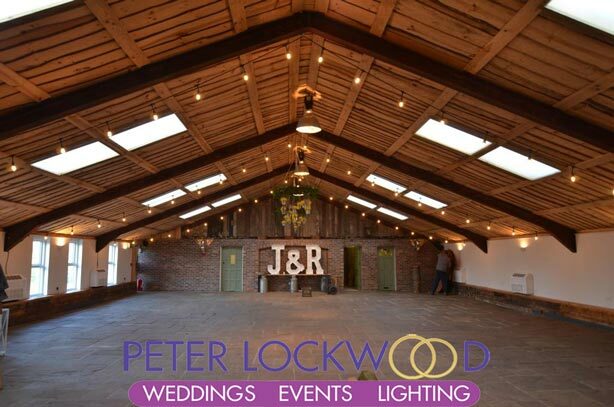 Owen House Wedding Barn Lighting We can also provide drapes and backdrops in this lovely venue. 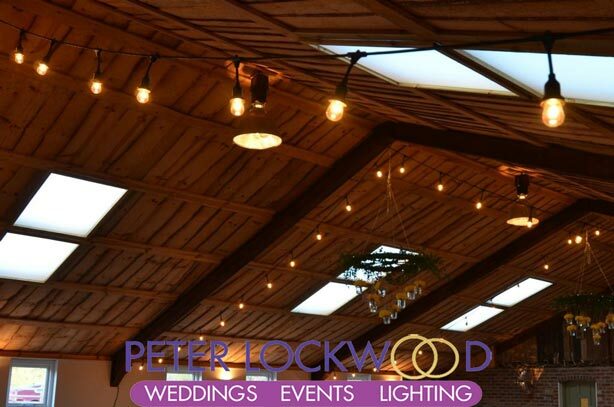 Owen House Wedding Barn is a stunning venue that can be made better with my Wedding Lighting. I have fitted festoon lights in the barn (they have their own now). 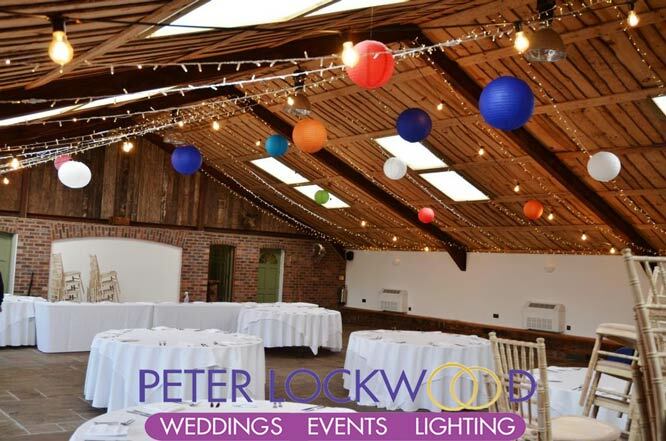 Warm white fairy lights are a good option for a different style of lighting in the barn. I can also provide paper lanterns. I can also provide edison lighting and uplighting in the lovely barn. 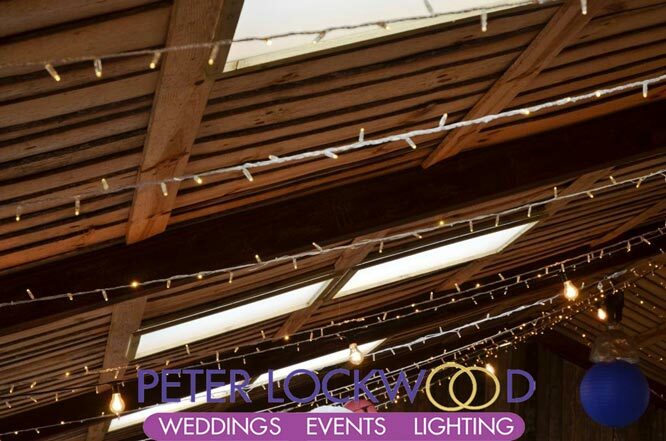 I can fit a dimmer to the fairy lights this can lower the light output for the evening party in the wedding barn.